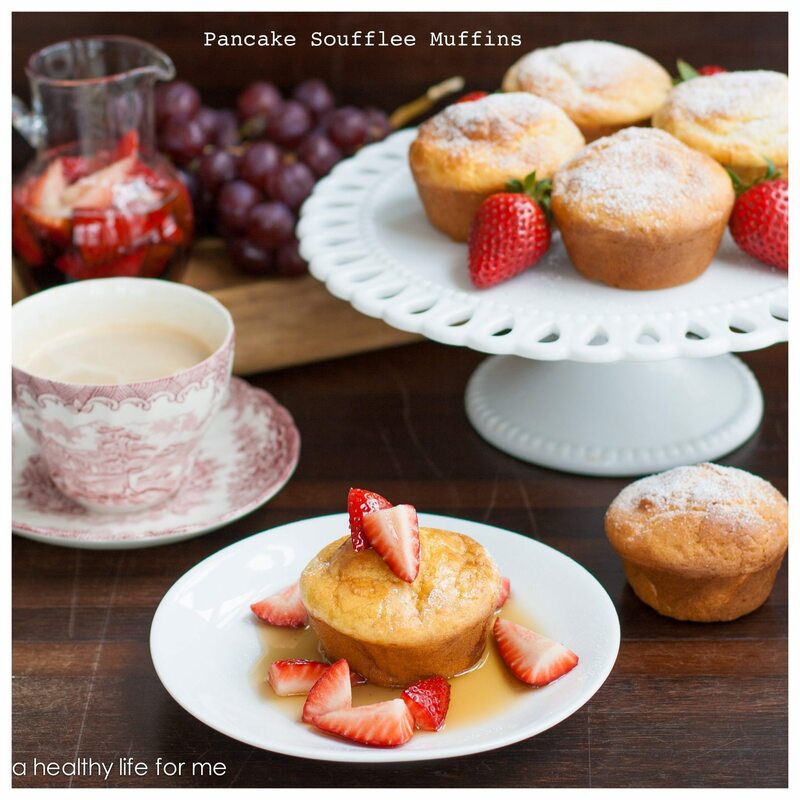 Pancake Souffle Muffins with Strawberry Maple Syrup the perfect Sunday breakfast or brunch recipe that is a great make ahead recipe that will impress. I love breakfast anytime, morning, noon or night. I could have breakfast for lunch and I do quite often, an egg and english muffin make me quite happy for lunch. I sometimes go to bed dreaming of the cup of coffee that I will have in the morning. Sadly I am one of those people who if caffeine enters my system past 3 p.m. I will inevitably wake up in the middle of the night with brain diarrhea. You know when you wake up and start thinking about stuff that you can’t stop thinking about when you are desperate to go back to sleep. 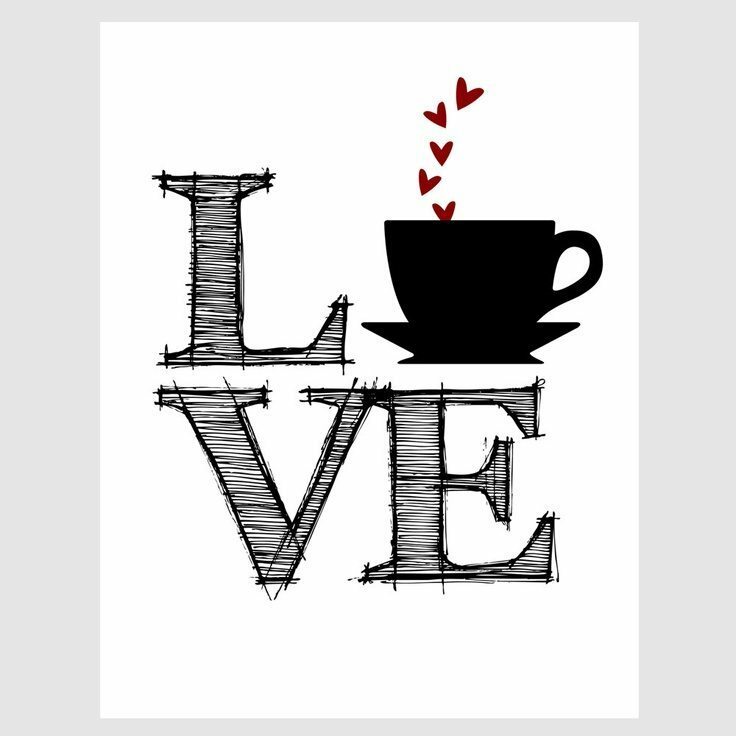 Now both the hubs and me love coffee, he is an espresso guy and I am a coffee or cappuccino girl. However I can not get the man to fall in love with breakfast. I try and try to get him to love breakfast, but still no luck. So when the holidays roll around I LOVE to make a big ol’ breakfast. It really is the only time we sit down as a family in the A.M and eat together. Here is a super delicious and elegant way to serve breakfast. 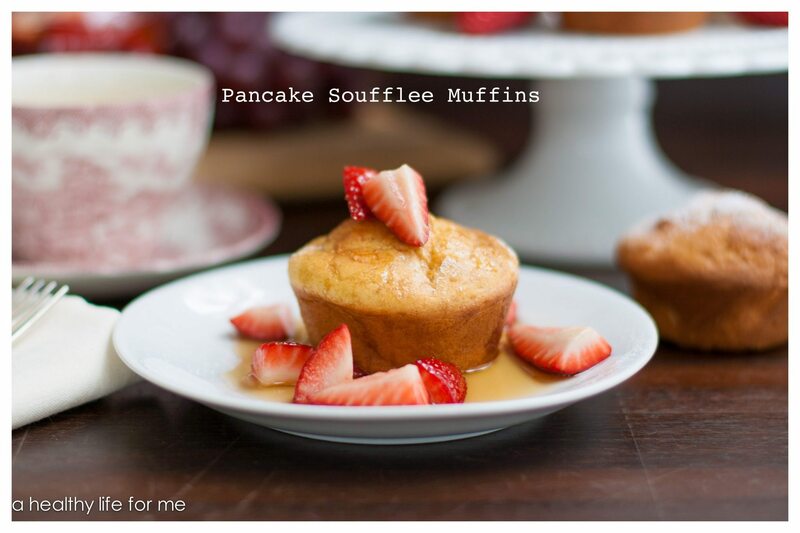 These Pancake Soufflee Muffins are not only easy to make they taste just like a pancake. Topped with the Strawberry and Maple Syrup they are good enough to eat as a dessert…. hmm just another way to add breakfast to another meal of the day. These would be great as dessert!! These muffins freeze up so you can make them ahead of time. I plan on serving these on Easter morning with my morning cup of Joe with my family around me. I hope you have a blessed Easter! Liberally spray two 12 cup muffin pans with the cooking spray. In a large, clean mixing bowl, beat the egg whites and cream of tartar with an electric hand mixer on medium-high speed to firm (but not dry) peaks, 2 to 3 minutes, set aside. In another large bowl, beat the egg yolks wit the mixer on medium-high speed until thick, ribbony, and lemon-yellow, about 6 minutes. Add the melted butter, sugar, and vanilla; mix on medium-low speed until combined, about 30 seconds. Add one-third of the dry ingredients and mix on low speed. Add one-third of the buttermilk and mix to combine. Alternate adding the remaining dry ingredients and buttermilk, ending with the buttermilk and mixing until just combined. With a large rubber spatula, gently fold the whites into the batter, leaving some streaks. The batter may be prepared to this point up to 2 hours ahead; cover and refrigerate. Scoop about 1/2 cup of the batter into each muffin cup-you can fill the cups to the rims. Bake, rotating the pans after 10 minutes, until browned on top and puffed and a toothpick inserted in the centers comes out dry, 20 to 25 minutes total. While the muffins are baking, bring the maple syrup to a boil in a small pot over medium-high heat. Put the strawberries in amedium serving bowl. Pour the syrup over the berries and set aside in a warm spot. 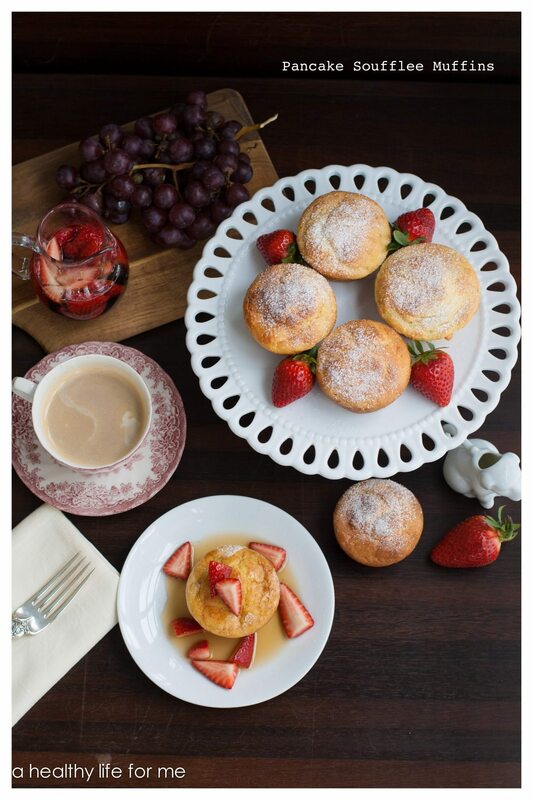 Pop the muffins out of the cups and arrange on a platter. Sprinkle with confections sugar and serve with the syrup. Freeze in zip-top freezer bag for up to 2 weeks. Erin they are diggity! Have a wonderful Easter! !